The K&M 24471 Speaker Wall Mount in black lets you swivel your mounted speaker from side to side and tilt it up to 30°. 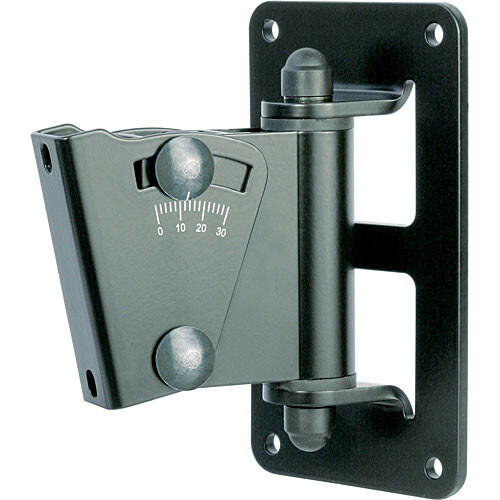 This convenient mount is easy to use and provides you with exactly the right angle for your room and audience. Once mounted, you can swivel your speaker from side to side and tilt it up to 30°.